The Waterfall Bath Spout (100mm) is a compact and stylish bath spout that will completely transform your bathing experience. 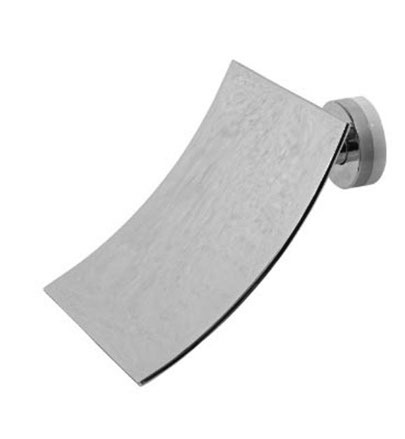 Available in a quality chrome finish, is ideal for contemporary bathrooms designs. 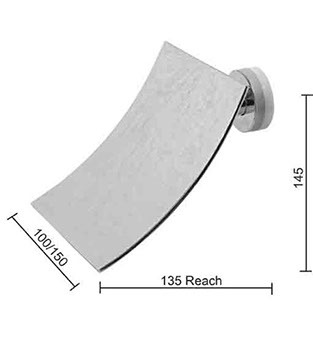 The Waterfall Bath Spout measures 100mm in length and the back plate outside diameter measures 56mm. It is also available in a 150mm variant. Experience the best of good looks and amazing functionality with this waterfall bath spout. 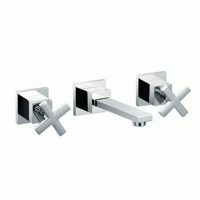 It is a wall mounted unit that has been designed to offer easy installation across all standard plumbing outlets. 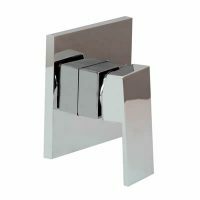 The Waterfall Bath Spout (100mm) is a superior grade product that exhibits the top quality of manufacturing. It is built to last and features full body solid brass construction. As a mark of quality, it is backed by a 2-year warranty from manufactures Linkware. 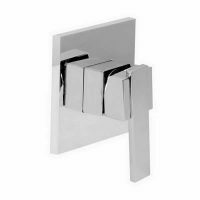 For compact and stylish bath spouts in Perth, look no further than the Waterfall Bath Spout (100mm) available at Ross’s Discount Home Centre. Shop from our online store today to buy this waterfall bath spout at the most competitive price in the market!